When I'm not writing for RA News or working as Marketing Director at Lawrence Public Library, I blog about practical marketing for public libraries at www.658point8.com. Any given week, I'll write about trendy things like social media engagement or scintillating topics like how to write a better subject line for your email newsletter. However, when I review my blog stats, it is not Facebook or Twitter or content marketing that readers are most interested in. Hands down, the most popular post ever on my blog – one that readers find while perusing the archive or by googling for information on the topic – is "Ten Tips for Better Book Displays". As a marketer who reviews statistics and demographics constantly, I find this fascinating. The Google search terms that lead people to the post include "how to make a good book display," "library book display ideas," and "better book displays for libraries." This information leads me to two conclusions - 1) libraries are doing book displays and 2) librarians want to make them better. I write a lot about social media engagement, but it is clear that even in the digital era of e-books and Pinterest, visually appealing physical displays with interesting topics are still a great way to engage readers. Since writing that post, I've corresponded with lots of librarians about this topic and have thought more about what makes a good book display. For this issue of RA News, I've expanded the list from ten to twenty and changed them from tips to rules, as I think they are pretty solid words to live by when it comes to designing displays. Don't be surprised if the next iteration is published as a "Book Display Manifesto." 1. Displays should reflect your patrons' interests, not your personal interests. You might be fascinated by ancient Japanese sword fighting or the history of dominos, but that doesn't mean that books on those topics will make a good display. 2. Displays should be popular. While a fair amount of time might be spent filling a display fixture, the ultimate goal is for that fixture to be empty. 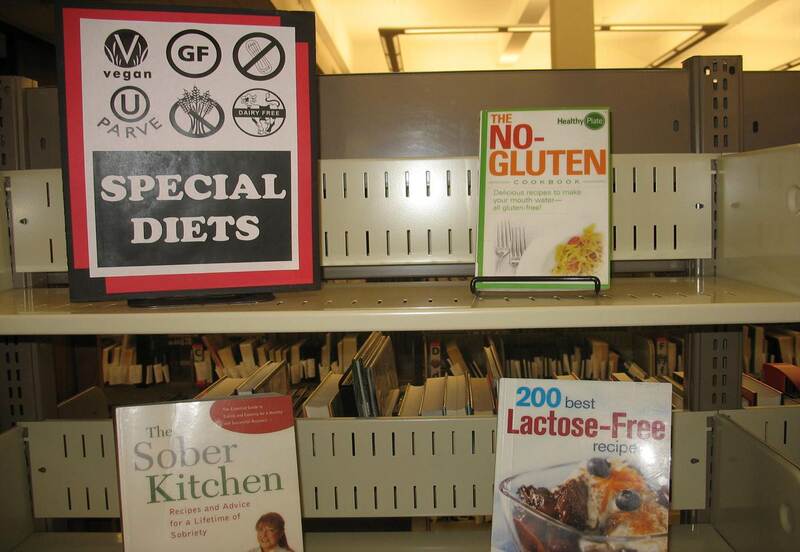 If, after a day or so, the same books are still on the display unit, consider a new topic. 3. The books should be the stars of the display. Choose books with fresh, visually appealing covers in good condition. Buckram bindings should never, ever be on display. 4. Don't limit yourself to books. Whenever possible, include a mix of audiobooks, DVDs, and even CDs. 5. 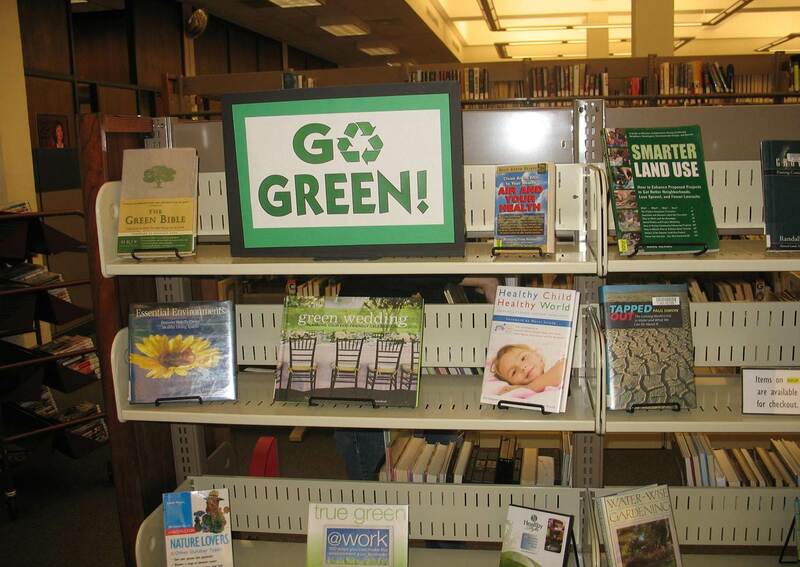 While the books are the stars, eye-catching visual signage is extremely important. This does not require bells and whistles or a graphic design degree. In fact, when it comes to display signage, less is more. Incorporate white space into the sign design. Use fewer words rather than more: if you need a full sentence to explain what the display is about, you need to re-think the idea. Choose card stock over construction paper and simple color palettes over neon and glitter. 6. Choose a simple, readable font over an intricate one. A few fonts I would suggest removing permanently from your display repertoire: Algerian, Bauhaus, Comic Sans, Jokerman, Old English, Ravie, and Snap. 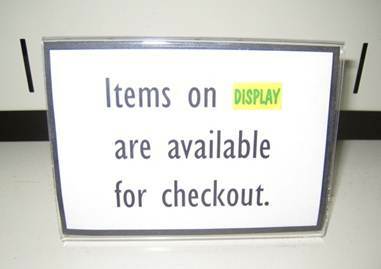 You never see stores using these fonts, so why should libraries use them? Retail merchandisers know that crisp, modern sans-serif fonts are highly readable and visually engaging. Some good ones to use on your next sign include Arial, Helvetica, or Century Gothic. You don't have to rule out serif fonts, but do make sure they coordinate with the display. Book Antiqua would not go well with a display of graphic novels, but would work nicely with a Classic Fiction display. 7. If there is an icon or other key visual element associated with the theme of the display, be sure to include it in the signage. This might be a logo or a symbol or simply an author's photo. It may be all the sign needs. 8. Use props judiciously. A single bicycle wheel propped next to the sign for a display about cycling. A small vintage suitcase can serve as the stand for the sign for a travel display. Choose one element over lots of smaller tchotchkes. You want browsers to interact with the display by taking items off. You don't want them to feel that if they do that, they will be messing up a work of art. 10. Add value. 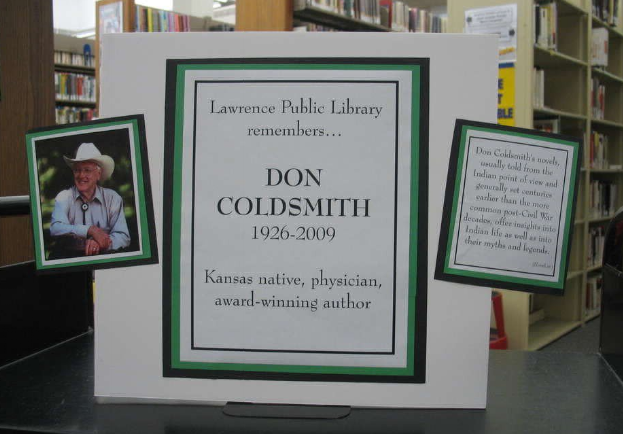 A great way to add value to a book display is to include a bookmark with further reading, listening, or viewing. 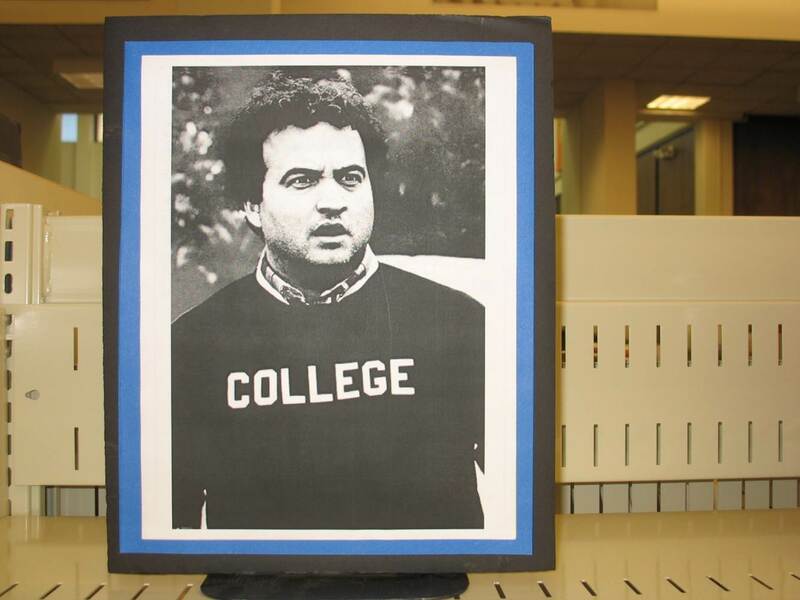 For our "Back to School" display, we included a small book mark with "Ten Great Books about Academia" on one side and "Ten Great Movies about Academia" on the reverse. Even after the book display was dismantled, readers could still enjoy the topic. 11. Cross promote. 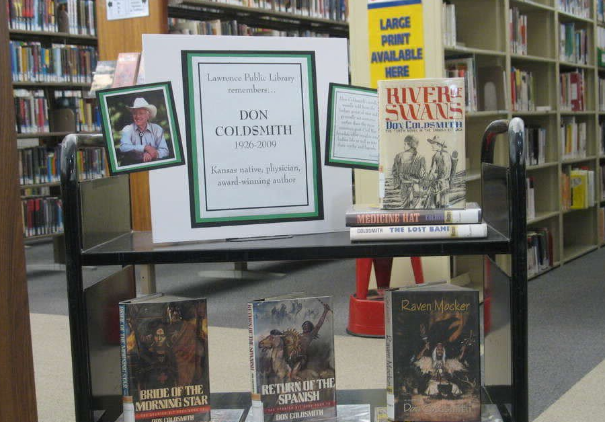 Readers who find your displays interesting might also enjoy your library's book blog or be interested in resources like NoveList or the NextReads email newsletters. Consider a small sign that points them to these resources. Or, if you add value with a book mark, reference these resources on it. 12. Use Chase's Calendar of Events judiciously. 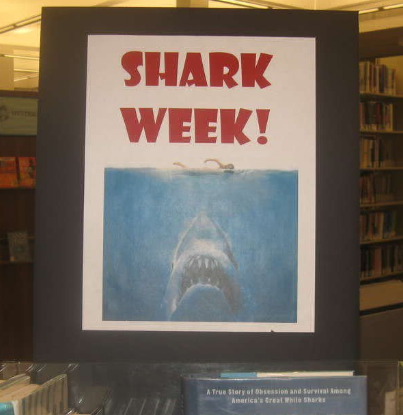 Many librarians turn to this standard reference work for inspiration for monthly displays. 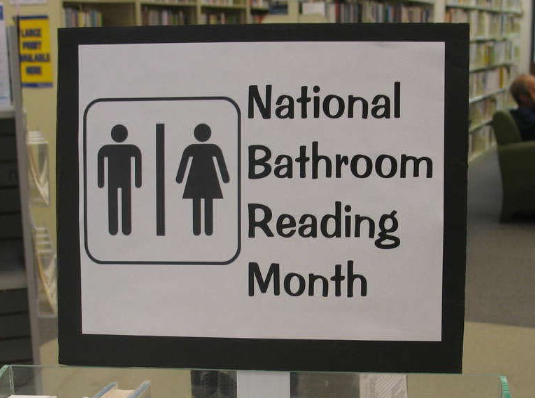 While the list of special months might be interesting (and sometimes hilarious -- see Rule #20) and might appeal to our urges to inform and educate, our displays should be popular, not pedantic or preachy. Is it interesting that January is Clean Up Your Computer Month, Glaucoma Awareness Month, and International Creativity Month? Maybe. Were millions of people watching Downton Abbey during January, clamoring for more books and movies just like it? Definitely. 13. Let pop culture inspire your displays. 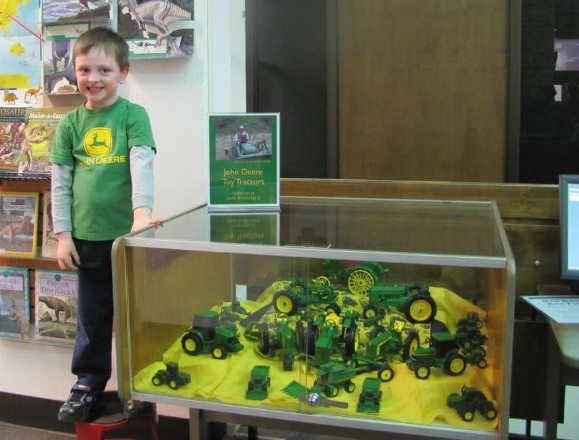 Remember, displays should be popular (Rule #1 and #2) and fun (Rule #20). How about a display of "If You like Downton Abbey" with books and movies? Leading up to the Academy Awards, how about a display called "And the Oscar Goes to…" that features Oscar-winning movies, biographies of Oscar-winning actors, and nonfiction about Hollywood personalities and politics? And seriously, who doesn't love Shark Week? 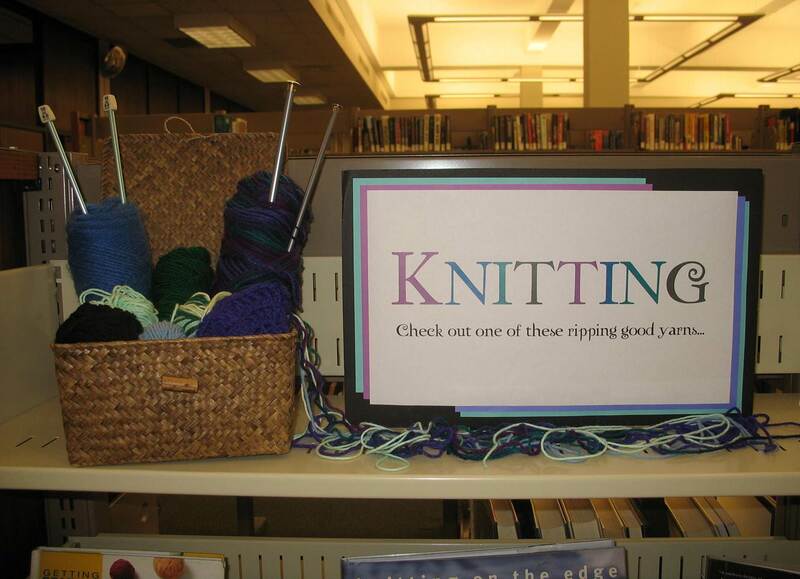 Leveraging pop culture demonstrates that libraries are fresh, fun, and relevant, not stodgy, serious, or old-fashioned. 14. 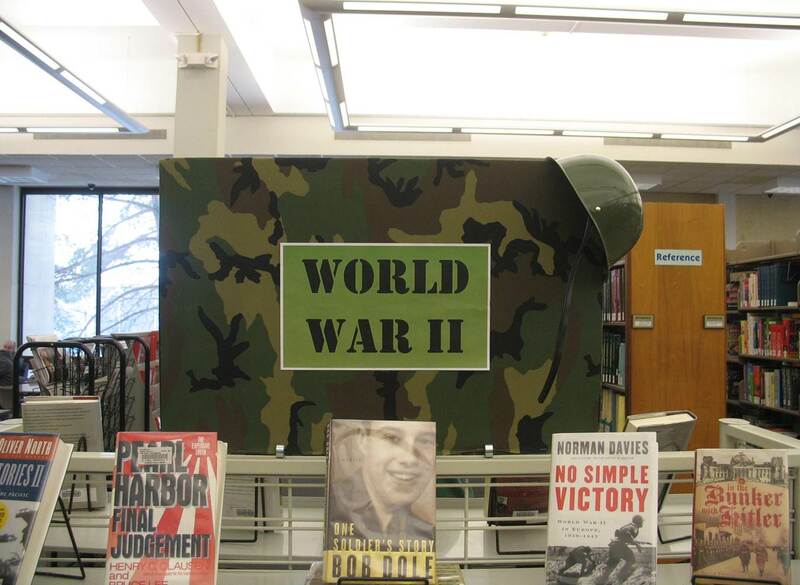 Let current events inspire your displays. In late 2012, everyone was talking about the "fiscal cliff." This would have been a perfect time to put up a display of books about personal finance or economics. In the weeks leading up to the election, a "Presidents & Politics" display would have been great, with popular non-fiction about presidents, fictional accounts of presidents, and movies and TV shows like The West Wing, All the President's Men, or the HBO adaptation of John Adams. 15. Let your community inspire your displays. Is this year the centennial of your town's founding? Consider a local history display. Is the local theater opening a production of Hair? Consider a display of books about the 1960s that also promotes the production. You can add value (see Rule #10) to a display like this by asking the theater to contribute free tickets for a promotional giveaway. knew they would be popular if they were more visible and pulled a few hundred of them for a display. We took it down after only three days – not because it wasn't popular, but because they had all been checked out (see Rule #2). 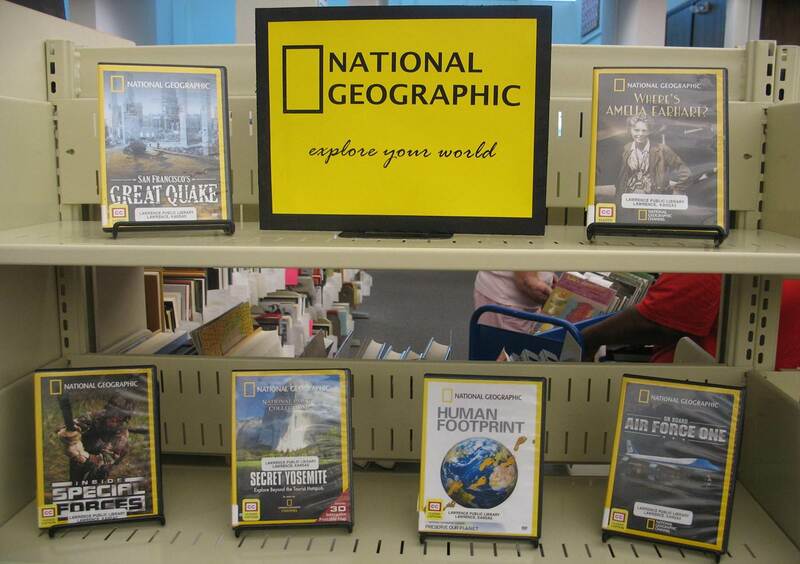 Note that the sign was quite simple, incorporating the National Geographic logo (see Rule #7).This approach worked with PBS DVDs that were interfiled with books as well. I created a sign with the PBS logo and logos from Nature, NOVA, American Experience, FrontLine, and other popular PBS shows. We gathered all of those DVDs from our collection, and like National Geographic, they flew off the shelves. 18. Unless the items are priceless or irreplaceable, do not put book displays behind glass. And if you are wondering why displays are important at all, I have just two words for you – book discovery. It is the buzzword of the moment for libraries, booksellers, and publishers, with conferences devoted to the concept and new products that aim to make it easier. There are some librarians who will lament that this fancy new buzzword reflects what we have always done – help readers find their next book. However, in an era where readers can find discover books in the supermarket, on their iPhone, via Amazon, and from social sites such as Goodreads and Pinterest, we need to make sure that libraries are engaged in book discovery and consider it a priority. Better book displays are just one way of helping readers discover great books. Susan Brown took her first library job to earn beer money while in college. After several years in academic and government libraries, she finally found her true calling behind the reference and reader's advisory desk at a public library. Before moving to Kansas, she worked at libraries in Virginia and North Carolina and has her M.L.S. from the University of North Carolina at Chapel Hill. She is currently the marketing director at Lawrence Public Library in Lawrence, KS and is passionate about readers' services, social media, and marketing and merchandising for public libraries. 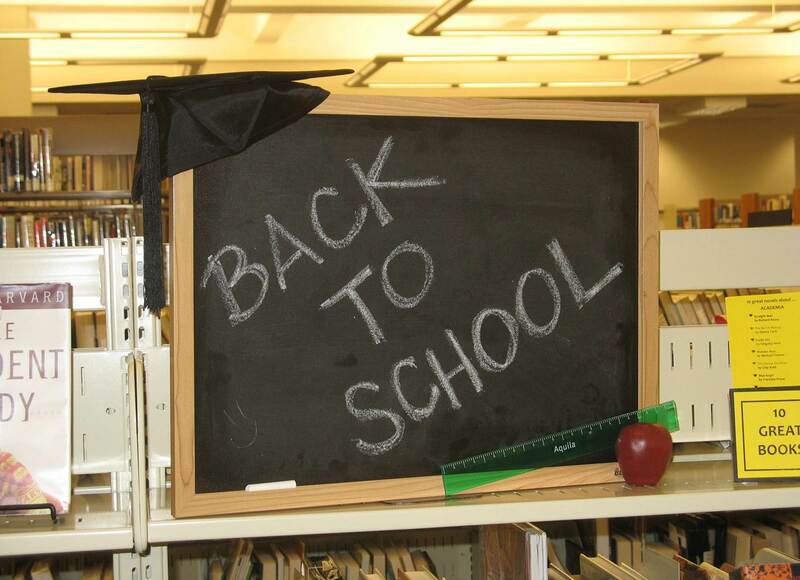 Susan blogs about practical marketing for public libraries at 658.8 – Practical Marketing for Public Libraries.